How Do Sling TV and Roku Relate to Each Other? Streaming TV requires a hardware streaming device and video content. The Roku streaming player paired with Sling TV channels offers a good solution. Device features like private listening, voice search and live pause add value to your streaming video experience. This Sling TV Roku review covers these topics in detail. Are you tired of paying high cable TV fees for hundreds of channels you do not watch? Imagine only paying for the TV channels you want with a lower pricing plan. You may find your perfect television viewing experience after reading this Sling TV Roku review. Sling TV and Roku differ in function but complement each other with an integrated TV viewing service. Sling TV offers channels for viewing while Roku supplies the device to carry and control the signal. A good analogy is how software runs on a computer. Alternatively, you can view the television service as a cable TV replacement. Sling TV streams a subset of channels available from cable service providers. Roku supplies hardware attached to your television to play the Sling TV channels. You can run Sling TV using other hardware devices, and Roku supports other channel providers. We will focus on the Sling TV Roku package and compare them to other alternatives in this review. Sling TV is a replacement cable provider focusing on television channel content. It offers approximately 150 U.S. channels plus extra programming for children, sporting events, news, movie and related content. Do you speak a foreign language or have an interest in international programming? Sling TV offers content in 28 languages plus popular shows from other countries. They partner with device companies such as Roku to stream content in your home. You will appreciate the three pricing plans primarily containing the shows you want. You can view your favorite show on your phone, tablet or computer anywhere in the house or within range of a cell or Wi-Fi signal. Will you miss the next episode of your favorite TV show? No problem – Sling TV records upcoming shows and stores them in the cloud for later viewing. Roku is a hardware provider offering devices to stream thousands of channels. It is similar to a computer that can run various software packages. Video streams are quite large and require high bandwidth internet connections. You can cut the cable programs, but you still need the cable. Your Sling TV Roku combination reduces your cable costs as it transmits only the video channels you choose to view. Roku devices can be attached to your TV, or you can purchase an integrated Roku TV® from various companies. They offer streaming stick models, a separate player and even wireless speakers to enhance your viewing experience. Sling TV is a content provider focusing on the cable TV channel market. Most of what you see on cable TV appears on Sling TV. As the name implies, the emphasis is on television. For example, other content providers offer movies on demand or original programming. Sling TV has movie channels similar to the ones you see on cable TV. Sling TV selected the most popular cable TV channels and grouped them in two packages, Orange and Blue. You can make a list of your favorite channels and compare them to the groupings. 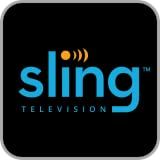 Sling Orange has 29 channels including ESPN, HGTV, TBS and many others. Sling Blue carriers 42 channels such as FX, National Geographic and Epix. There is overlap between the two packages so one may meet all your programming requirements. If not, you can select both packages at a discounted rate. Do you like premium channels such as HBO or Showtime? How about world news on the BBC? You can purchase add-on networks based on your specific interests. Categories include children, sports, lifestyle, cable-based movies and many others. Sling TV has very strong international programming in multiple languages. You can even purchase the NBA Team Pass for your favorite league and never miss a game. Streaming video frees us from the home TV. Sling TV programs broadcast on your computer, phone and tablet. Now you can binge watch your favorite shows practically anywhere. New technology eliminated separate Digital Video Recorder devices and replaced them with cloud-based on demand storage. Schedule Sling TV shows before they air and watch them at your convenience. Now we will look at the hardware side of the Sling TV Roku combination. Roku supports excellent features to help you manage thousands of content hours supplied by Sling TV. We all share television viewing space with other people. Even if you live alone, you may want to watch your favorite TV show during your daily train commute to work. Simply plug your earphones in the Roku device, phone or tablet and listen to your content without bothering anyone around you. What if you have a busy household with children who want to watch Sponge Bob Square Pants, but you do not? Roku expanded Private Listening with audio transmitting between the main unit and up to four mobile devices. You will enjoy your quiet home. Do you like to search for a show by choosing single letters on your TV screen using a remote control device? Probably not, and there is a better way. Some Roku devices support voice search to find that perfect show or movie. Simply press the button on the device, speak into it and watch your words appear in the search box. You will appreciate the speed and ease of finding that needle in a haystack TV show or movie. You cut the cord from your cable company and enjoy streaming your favorite on-demand content. Sometimes life happens, and you pull away from your TV. There is no problem because you can either pause the show or resume it later. However, what if you are watching live TV using your antenna? Roku solved this problem with Live Pause. Simply attach a flash drive to your set and link it to your Roku unit. You can pause your live TV show for up to 90 minutes. Either leave the area or even change to another digital channel before resuming your live TV viewing. You will never miss a minute of on-demand or live programs. You love your 60-inch UHD television with the brilliant picture, but the sound leaves a lot to be desired. Sound bars are a good option, but sometimes you want better room placement. Roku developed wireless speakers optimized for their device. They deliver premium sound and can be placed anywhere in the viewing room. It even has a feature called Automatic Volume Leveling which reduces loud scenes and boosts quieter ones. Do you want to take your Roku device with you when traveling? 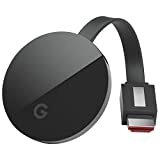 The latest software update supports linking some Roku players or streaming sticks to the USB port in your hotel or dorm television. The system automatically finds your account after connecting the device to the available wireless network. Business travelers, college students and families on vacation will enjoy taking their shows with them on the road. You want to cut your cable cost as much as possible, and Sling TV offers one of the lowest base cost packages. The Sling Orange and Blue packages each cost around $20 - $30 per month, and you can combine them for about $40 - $45. The Cloud DVR feature costs an additional fee per month. Next, you can decide which additional packages to add for specialized content. Many extras such as sports, news and children for an extra fee. The HBO premium package runs $10 - $15 per month. The NBA Team Pass costs $15 - $20 per month for your favorite league. Do you have an older television with limited connection points? Maybe you have a TV in the guest room. Roku offers five device models to meet your needs. The Roku Express is the entry-level device. It transmits a 1080p high-definition signal and works well in your spare bedroom. The Roku Express+ is similar to the base model but includes RCA jacks for older TV models. Two streaming stick models fit directly in the TV reducing device clutter. 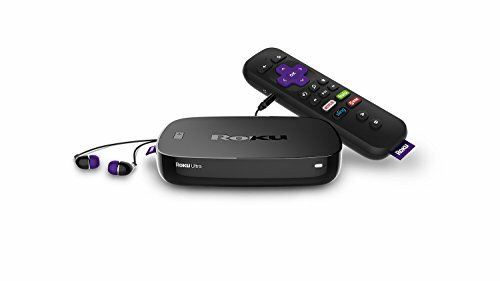 The Roku Streaming Stick supports 1080p HD resolution and is good for travel use with the Hotel and Dorm connect capability. The Roku Streaming Stick+ is more powerful with up to 4K Ultra high-definition resolution. Finally, the Roku Ultra is great for the main television in your living room. The built-in USB port gives you Live Pause capability for over-the-air broadcast shows. 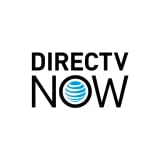 AT&T offers DirectTV Now for their streaming video solution. You can choose from three base channel bundles plus one Spanish language category covering 90+ channels. The most expensive plan has 125+ channels compared to 150 for Sling TV. Contractual agreements with each company restrict some channels. You should compare your list of favorite shows to each service to verify coverage. DirectTV Now has fewer international offerings compared to Sling TV. 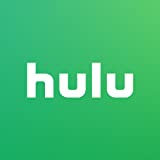 Both services support the Cloud DVR. YouTube TV also supports more selective channels based on overall user preferences to reduce costs. There is a smaller list of premium providers compared to the other services and limited international content. The robust Cloud DVR stores unlimited programs for nine months. 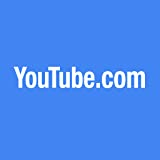 It uses Google’s powerful search engine to find specific programming. The Apple TV 4K is the most costly model yet delivers the highest performance for ultra-high-definition video. Dolby Vision HDR offers excellent audio quality. Voice commands simplify program searches, and the control interface is easy to use. 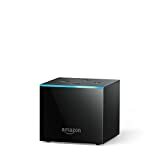 The primary feature of the Amazon Fire TV Cube is voice control using Alexa. The unit controls volume through your sound bar and searches for programs completely through your voice. You can even play your streaming music apps through higher quality television speakers. The Google Chromecast Ultra is the minimalist solution to streaming. The Ultra model supports 4K resolution. Simply plug the unit in the USB port and control the programming from your phone or laptop. The interface works well yet Sling TV controls are more intuitive than Chromecast. You will have the best of both worlds for your TV viewing experience with your Sling TV Roku pairing. Sling TV offers strong programming with robust features on the Roku platform. You will appreciate easy content searches with voice control, never-miss viewing with Live Pause and can even take your device with you on your next road trip. Previous articleIs the Avegant Glyph the Perfect Personal Theater?